“We enter the NEW MOON in Sagittarius on December 2nd 2013. After some powerful shifts and revelations from accessing our watery depths in Scorpio, we are ready to channel our passions and rise with the Sagittarius fires of transformation and rebirth. This last NEW MOON of 2013 is a opportunity to align with our truth and set our intentions to move forward with new skins as we face the future we want to create and the embodied reality we will bring forth. 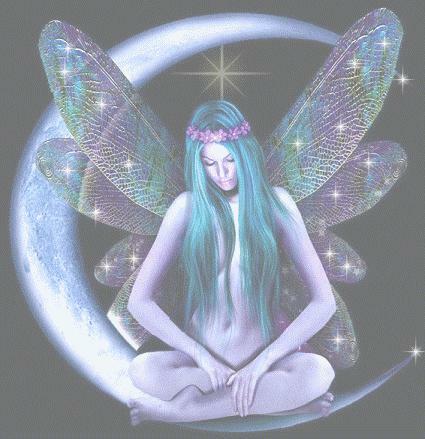 Blessings Everyone…may you find the new moon a great time to start anew and be inspired….plant your new seeds…. The moon! This fierce, magnetic force that is the aspect of the feminine earth energies, standing opposite to the active male sun energy. Women have been connecting to the moon for years and now is the time for us to reclaim that connection and power. She is not just a white disc in the sky that the wolves howl at…she is a very alive, potent source of energy for cosmic healing, personal healing and overall planetary transformation. “Now that we have remembered more about the essence of the moon, we can begin to actively work with this spendid, gracious, and loving being that refreshes, delights, and clarifies us. 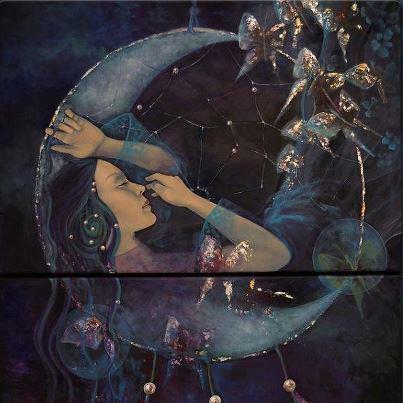 We can do this by breathing the moon into the womb, and by sounding the names, sounds, and mantras of the moon, as women have done for thousands of years before us in the lineages of ancient mothers and grandmothers, throughout history. Every woman is connected to this lineage of birthing and the moon; it simply has to be remembered within you. Breathing the moon into the womb happens through the kidneys. The kidneys are the feminine energy chi generators of the body. The energy they generate is sky-blue in nature and is pure clarity of essence. When they are stimulated they send feminine chi to all parts of the body, especially to those areas that need it. Kidney chi is refined, energizing, and healing, and with intent it can be used to energize the womb and connect it to the moon through the feminine Silver Ray of Light. In this practice the kidneys become the conduit for the Silver Ray of the moon (the lunar path of the feminine), bringing lunar light into the body’s energy pathways and meridian circulatory system. The Silver Ray refines and purifies, clearing fogginess and lack of clarity, re-evoking the memories of water, chi, and the feminine, balancing the excess masculine back into harmony. It activates those areas of the body that need the feminine energy, that have become stagnant and disused. Or check out www.sensualtantrichealing.com for bodywork services that support your journey as well…. Here is to your continued health and healing!